It is never too early to start scissor skills. 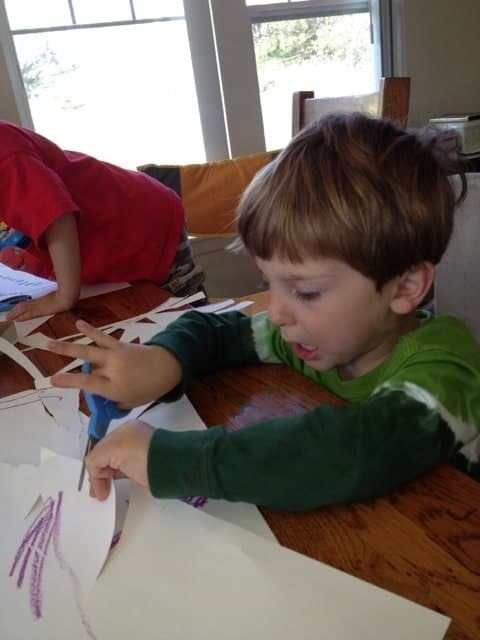 Kids love cutting and pasting, so why not let them? It is soooo good for them in the fine motor skills and hand-eye coordination department. I started all three of my older children with the continuous loop scissors (called squizzers) at age 3 or earlier if they were eager. We started cutting strips of construction paper and then by taking last month’s calendar and cutting it. I purchased Little Kids Can… Cut and gave my kids one for each week/theme we studied. It worked great! This workbook is reproducible (you are allowed to copy it…) and starts with very thick straight lines, then zig zag and curvy lines and slowly progresses to shapes and eventually cut and glue projects. If you are using a theme based curriculum, many of the themes are covered in this book. The Little Kids Can Color book also has great thick lined shapes perfect for cutting, coloring and pasting on construction paper. It rounds out the other book nicely. When they want to and are ready for the muscle strength to switch to kids scissors, they are allowed. Both types of scissors are in our bin. Another thing is, before little ones have the strength for squizzers, which are very easy but not for two year olds… they can tear construction paper and this builds hand strength! Those are some good ideas for cutting practice. It seems like even if young kids don’t like to color, they always love to cut! Squizzers sounds like a very interesting cutting tool. Great tips! 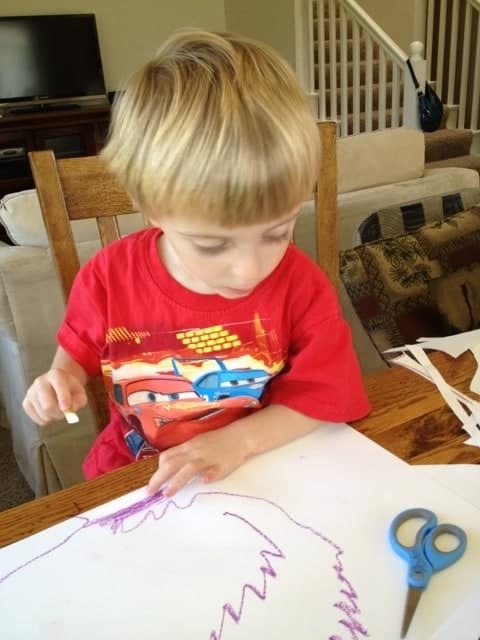 I’ve had 2 that seemed to automatically have the know-how and fine motor skills to use scissors at an early age, and 2 that needed up-close-and-personal instruction and guidance for a long time. The others just needed opportunity and time for practice. The important things is to give them a chance! And to remember, all those little paper slips are easily swept up.